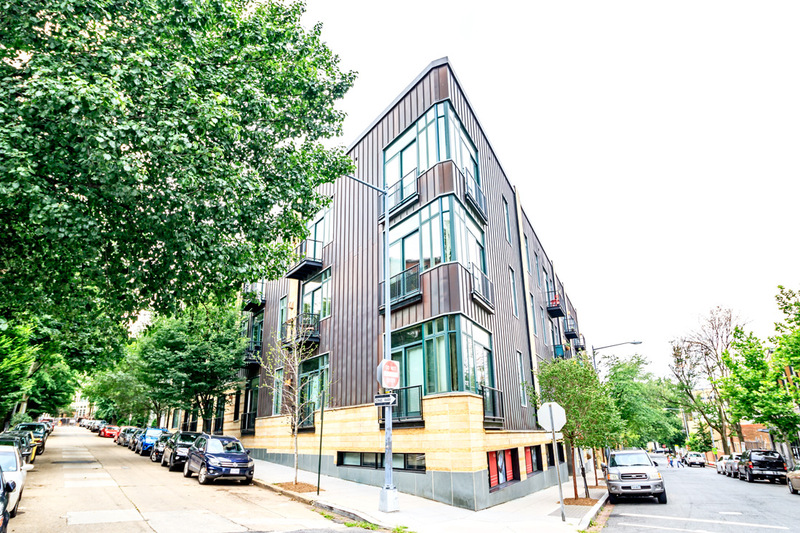 Known both by its address as the 1700 Kalorama Lofts (located at 1700 Kalorama Road) and by the shorter Kalorama Lofts, this contemporary structure is right in the heart of Adams Morgan. With brown metal siding combined with tan brick, huge windows and front balconies, the overall effect is that of a unique hybrid—industrial park modern chic. The building sits at the corner of Kalorama Road and 17th Street—prime territory indeed in Washington DC’s super popular 20009 zip code. You can easily get to anywhere from here in the District, and a lot of the places you’ll want to go are within walking distance. Built in 2005, there are 42 residences in this cool boutique. Due to the popularity of the building and the location, these units are hard to come by. Those interested in luxury lofts for sale in Washington DC might want to widen their search a bit. First, the number of different design layouts is unusual for a boutique building. While the front of the building appears quite square and boxy, there are actually some unique shapes to the rear, including a cylindrical wing resulting in units with curved walls. Regardless of shape, these residences are quite spacious, from 1,100 to 2,600 square feet. Recent listings have ranged from the $500s to over $1 million. Residents here enjoy hardwood floors, gas fireplaces, private balconies and a variety of ceiling designs including beamed, cove and those with unusual exposed metal grids. The steel industrial-style stairs leading to loft spaces are quite striki ng, and the limestone baths with Kohler fixtures come in a variety of layouts. The living spaces are very open, with giant windows and modern kitchens featuring granite counters, maple cabinets and stainless steel appliances. Also, the open-sided loft spaces are often positioned so that one can look down at the kitchen below. Imagine sitting in your butterfly chair, reading a book or playing on your phone as the tempting smell of dinner wafts up, tantalizing and distracting you! It’s also worth mentioning that the new Harris Teeter is right next door. Now you really have no excuse not to cook. Except for one little thing—Adams Morgan’s famous 18th Street restaurant row is just one block away. What a quandary, whether to stroll to dinner at Johnny Pistolas or Perry’s, or cook in? 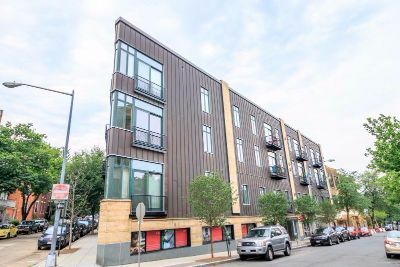 The pet-friendly 1700 Kalorama Lofts are also super close to the fantastic Meridian Hill Park, and equal distance between the Woodley Park and U Street Metro stations.